Karima is 41 and a widow. She works as a cleaner at a Kabul university to support her family. 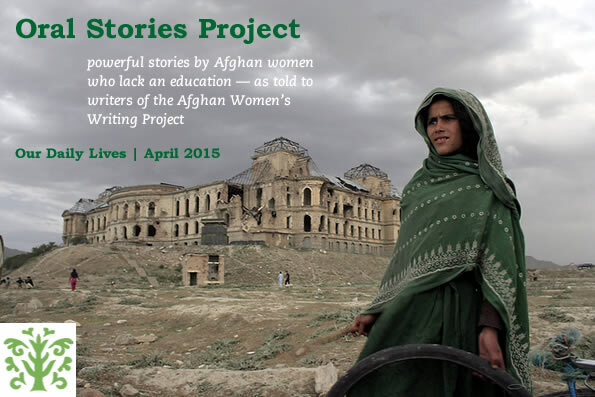 Kabul– I went to school years ago. But when the Russian soldiers came to Afghanistan my father stopped us from going to school. We respected him and accepted his wishes, but if I had continued my education, today I would not have a problem finding a job. I would like to have been educated. But now my mind is not sharp enough to learn. If I need to read a text I ask for help from different people. Most days when I wake up the first thing I wish for is to finish paying my son’s wedding loan that I got from the bank so he could marry. At six o’clock I leave to go to work at the university. I walk to work so I leave early in the morning. When I arrive, I start by cleaning the tables, the teachers’ offices, and the classrooms because they must be clean when the students arrive. At three o’clock I leave and go home to do my housework. I live far away. At work I meet different people; some are good and some are bad. On a rainy day I will ask them not to enter the room with muddy shoes. Some agree and wipe their shoes and treat me with respect like a mother. Some treat me with scorn and they say it is your job to clean it. Every day I encourage my children to study and be independent. It makes me sad when my son asks me for my help and I cannot help. When I go home I try to do something nice for my children so I can see a smile on their faces. I hope you have a bright future where your children will someday be the ones to put a smile on your face! Thank you for sharing your story.